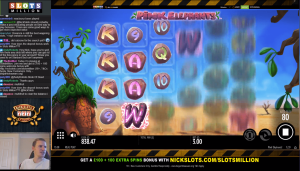 I'm Nick, a Casino Streamer from Yorkshire in the UK, and the first UK Casino Streamer on Twitch and YouTube. I've been interested in gambling ever since i was a teenager playing the fruit machines at the arcades on Scarborough seafront. But i much prefer online gambling as opposed to land based especially where slots are concerned as you can win so much more. My other hobbies include gaming and cars, and i used to stream computer games regularly on Twitch and i hope to get back into this soon with my spare time. I've always been interested in cars, which includes motorsport, since a very early age as my dad was a mechanic and used to build racing cars when he was younger. I currently own an Audi S4 with a full AWE Motorsport exhaust system and EPC carbon intake, but plan on selling this soon to get the new Audi RS6 or something similar. I first started streaming slots in February 2016 but i streamed PC games quite a few months before this, and that's basically how i got involved on Twitch. I recently hit a 3-year milestone of streaming Casino and released a video on YouTube highlighting this, how time flies! Well after streaming PC games for quite a few months and only hitting maximum 20 viewers i got a bit de-motivated and checked out some of the other categories on Twitch as most gaming sections are overly saturated. I then found the Casino section and started watching the streamers CasinoTwitcher and Letsgiveitaspin. What they were doing looked really fun and considering i've been interested in slots for such a long time i decided to give it a go myself. In my first ever live stream on Twitch i hit 30 viewers, which for a first stream is huge. I've always loved gambling so i think this came across to my viewers who saw i genuinely had an interest in it instead of people who only start to make money. This meant my viewer numbers increased week after week to the point where i was one of the most viewed streamers in the category. Now in 2019 i average 1300 viewers across Twitch and YouTube per stream and have a loyal following of regular viewers who i love dearly. In May 2017 i made the best decision with regards my channel, and that was to give all my donations to Charity with a different Charity being chosen by the viewers each month. And together we have raised over £40,000 for some truly incredible organisations that really do help people. My favourite Online Casino Streamers are Letsgiveitaspin, Slotspinner and Rocknrollaaaaaa. When i'm not streaming i tend to always watch these 4 and enjoy them all thoroughly. Casumo is and has been my favourite Casino ever since i started streaming slots. I know these guys can get some stick with the wagering (especially since the recent increase) but it's hard to find a Casino that offers as much as this with regards games, reel races, rewards, customer support and fast cashouts. <3 Casumo! Casino Calzone has quickly become one of my favourite Casinos as they always listen to feedback from myself and my players and have added many new games based on the feedback from my streams. I love when Casinos do that, take note of feedback and act upon it. They're a superb Casino with an enormous selection of games and the wagering is very nice too! Rizk is another of my favourites, they have fantastic rewards throughout the years for their players and i love the parachute style bonus (non sticky). They also have an enormous selection of games with slot providers i haven't seen on the others.